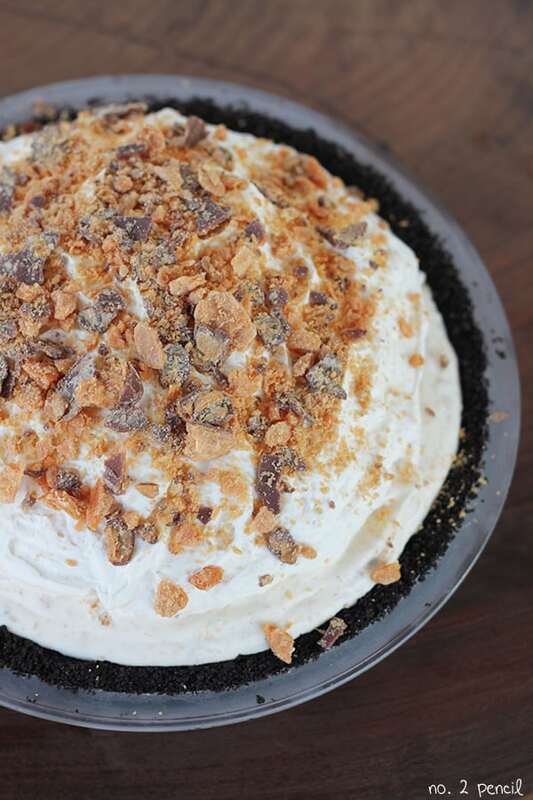 Butterfinger Pie was one of the very first desserts I learned to make. It was my Mom’s go-to dessert for weekend BBQ’s and special family dinners. 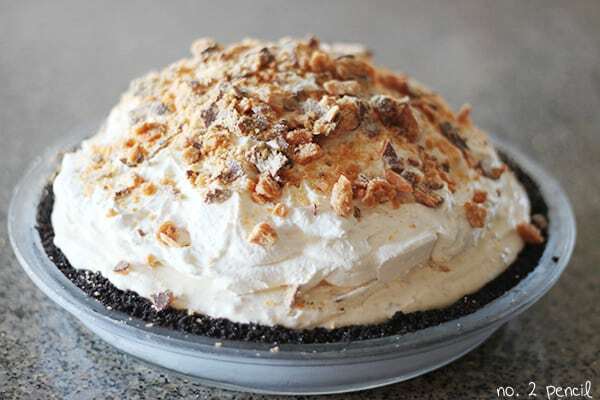 Our version of Butterfinger Pie was simply crushed Butterfinger mixed with vanilla ice cream and poured into a store-bought graham cracker pie shell. We topped it with Cool Whip and additional Butterfinger. It’s an easy classic in our family. 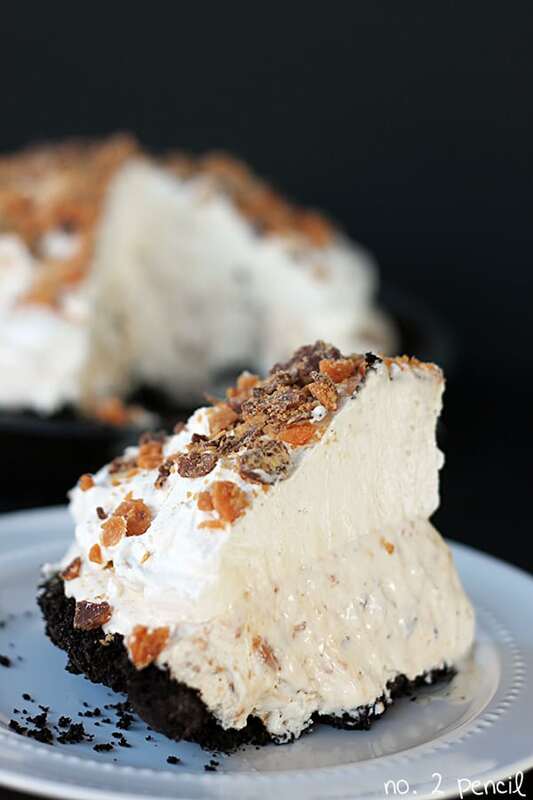 For a long time, I’ve had an idea for a homemade Butterfinger ice cream pie recipe swirling in my head. I wanted it to be special, but still easy. When I saw this recipe for Strawberry Cheesecake Easy Ice Cream, from my friend Ashton at Something Swanky, my plan came together. 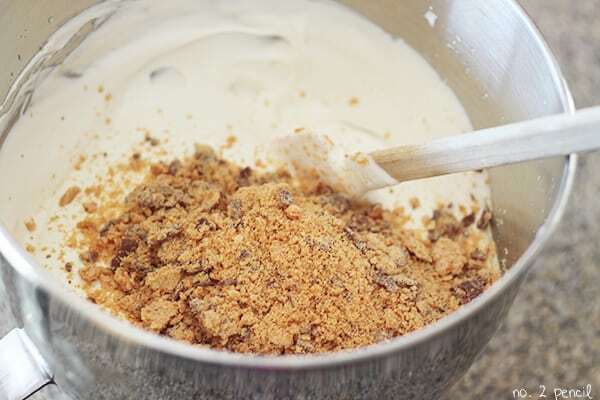 My Butterfinger Pie recipe would have homemade ice cream without churning or using an ice cream maker. Since I wanted a completely homemade version of Butterfinger Pie, I started by making a chocolate wafer pie crust. Clearly, you can skip this step, but this crust whips up in just a few minutes and I love the homemade, rustic look. All you need is chocolate wafer cookies, melted butter, sugar and a pinch of salt. Once the the pie crust is done, pop it into the freezer to chill while you prepare the ice cream. To prepare the ice cream, start by whipping a pint of heavy cream until soft peaks form. Gently fold in one can of sweetened condensed milk. Fold in crushed Butterfinger bars. 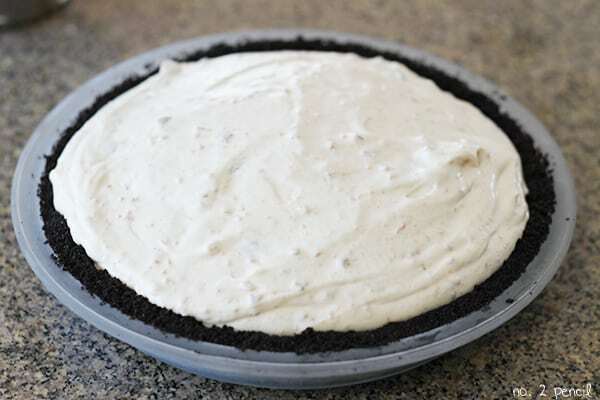 Add the ice cream mixture to the prepared pie crust and freeze for about an hour. Once the ice cream has started to set, prepare sweetened freshly whipped cream and pile on top of ice cream. Finish with additional crushed Butterfingers. Freeze entire pie 6-8 hours, or overnight for a nice firm set. I’m really excited about this dessert. It’s so easy to put together, and who does not love homemade ice cream? 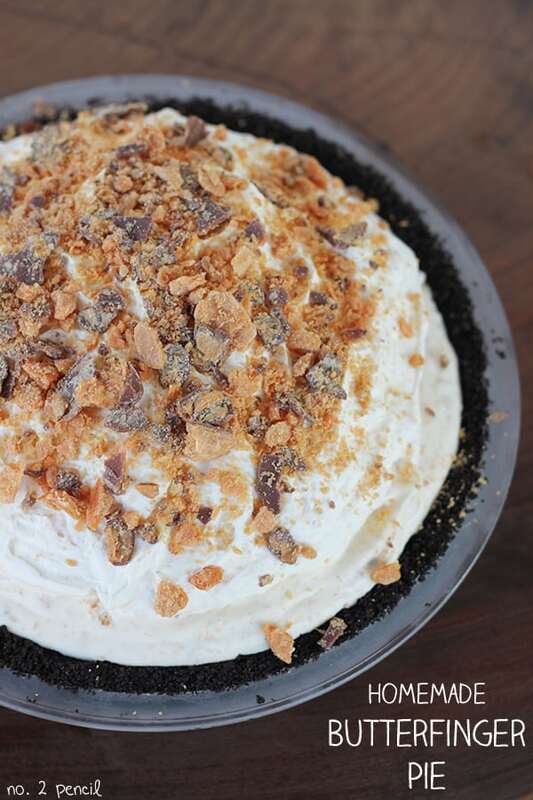 This Butterfinger Pie is tall and impressive too, so it really makes a statement! Perfect for entertaining. After 6 hours, ours was soft set and ready to serve. If you can wait overnight,my family could not, it sets up even firmer. Process 30 chocolate wafer cookies (about 2/3 of the package) in a food processor along with melted butter, sugar and salt. Press crumb mixture very firmly into 9 inch pie pan. Store in freezer while preparing ice cream. 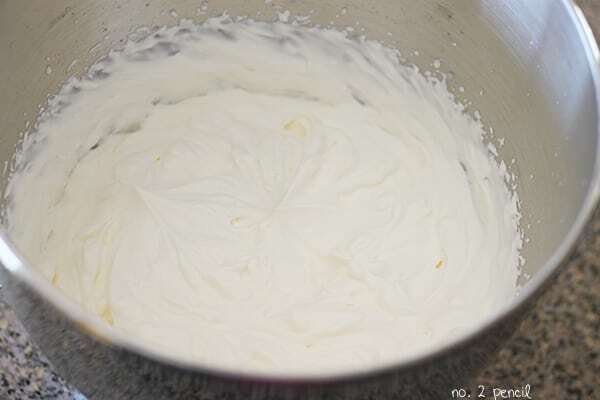 In the bowl of a stand mixer, using whisk attachment, whip heavy cream until soft peaks form. Fold in crushed Butterfinger bars. Reserve 2-3 bars to sprinkle on top of pie. Pour ice cream mixture into chilled pie shell. Let freeze for about one hour before topping with whipped cream. 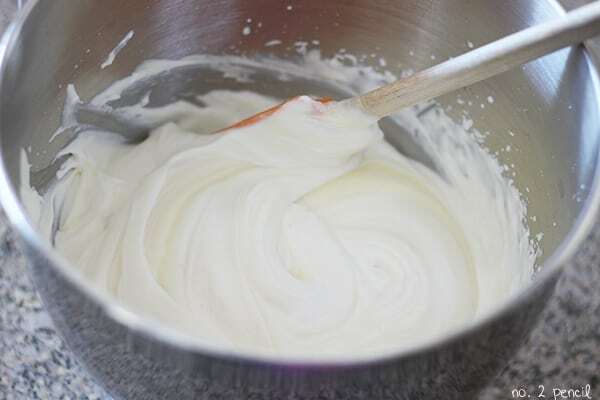 In the bowl of a stand mixer, using whisk attachment, whip heavy cream, sugar and vanilla until soft peaks form. Top pie with whipped cream and additional crushed Butterfinger. 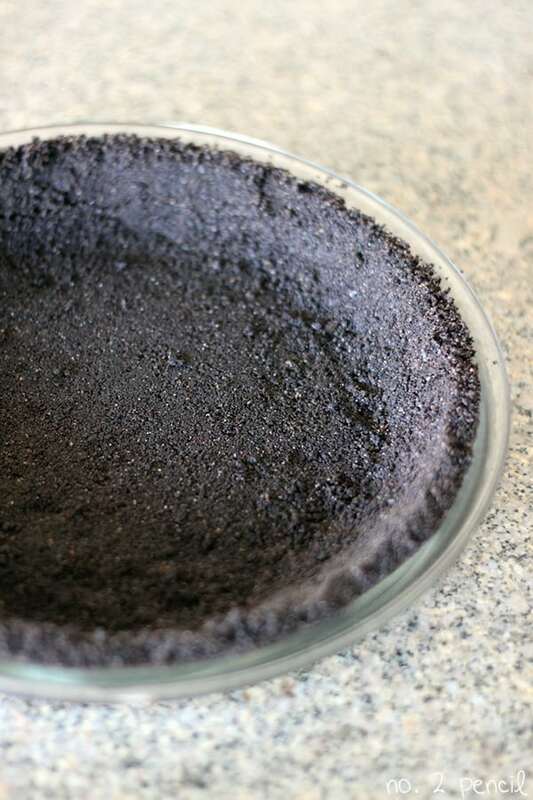 Freeze pie for at least 6 hours, or overnight for firmest set. You stop it right now, my faaaaaav is Butterfinger. MMM!! 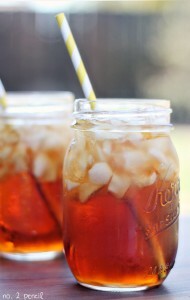 Excited to make this! 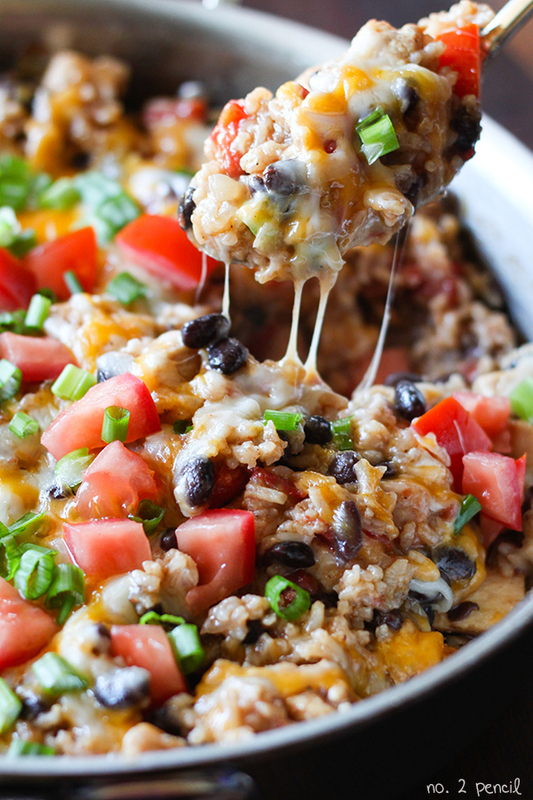 Yum, this looks fantastic! Need to try this! Oh.my.word!!! I want to dive right into that last picture! This looks awesome! 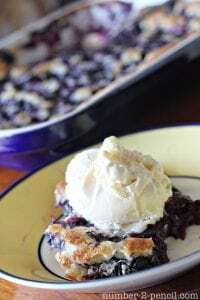 I love the 2 ingredient ice cream…what a great idea to put it in a pie!